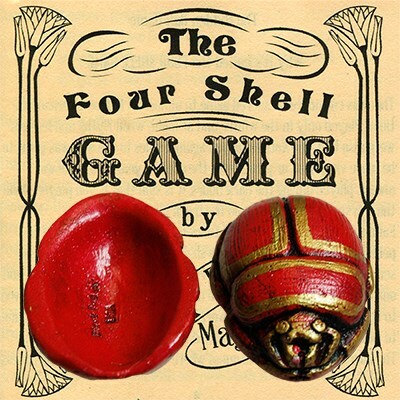 Scarab Shells are available in Red, Green, Blue or Black. The Three Shell Game has been one of my favorite tricks for many years. I purchased a set of scarab shells from Black Fox at a magic club meeting several years ago. They're great shells! The peas they come with are good. I typically use the School for Scoundrels "Perfect Pea," which works perfectly with these shells. The "plug shell" is a nice thing to have as well. I would recommend this set to anyone interested in the three shell game.